Love the combo of gray and pink. You look wonderful as always, Tiff! 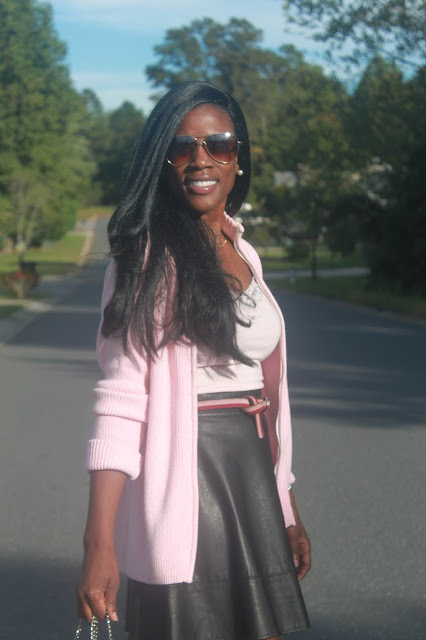 Love the pop of pink sweater, Tiff! Gorgeous look + beautiful pictures!!!!! Enjoy your weekend gorgeous! I don't think anyone has ever made a sporty cardigan look so chic. I adore the color and your styling techniques. Great look! !